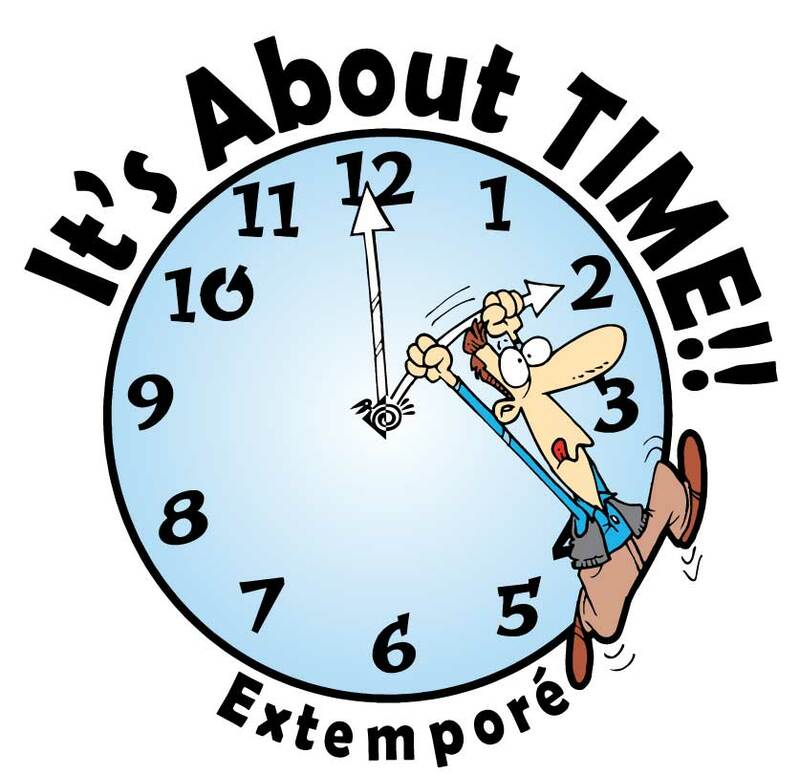 YOU ARE INVITED TO THE 22nd ANNUAL EXTEMPORÉ STATE COMPETITION! Location – Brittany Hill Middle School in Blue Springs, Mo. Times – Approximately 9:00 a.m. to 6:00 p.m.
T-Shirts –T-Shirts – Our themed shirts will not be available on Competition Day; if you (&/or your team) want shirts, you must use the Early Bird Order form in this posting. Early Bird Order - Order your shirts in advance- - - I have included an order form in these pages. All orders must be postmarked no later than Thursday, February 21st. Judges/Supervisors – Each team will be responsible to provide one adult volunteer to aid in judging. The training will take place at Brittany Hill MS from 7:30-9:00 a.m. on the day of competition. Judges’ training is required for all volunteers and includes muffin & coffee. J Please return the Volunteer Form in this posting no later than Thursday, February 21st. You will receive your volunteer assignment no later than March 17th. Extemporé Competition - Your school may send one registration-free team with your purchase of an Extemporé membership. If you wish to bring more teams, your cost is$35.00 per added team. (Many coaches charge each team member $5.00 to cover the cost of registration.) If you choose to bring extra teams, please send one check made payable to Extemporé. All registration fees MUST accompany your team registration. Competition Day - Your student teams will be participating in their chosen arena (Showtime, Engineering Feats, Fine Tuning, or Perspective) and the AHA! The AHA! consists of three extemporaneous rooms based on creativity and problem solving. Competition Schedules – You will receive a copy of the competition schedules no later than March 17th. Thinkers Hall Competition - Three strategy games will be offered Extemporé participants throughout the day. The three games are Chess, Checkers, and Mancala. I will send you the rules for Mancala when I send out specific competition information. Students may participate in one or all of these games. Awards will be given to the highest scoring students in each game and division. ​Minutemen - This tournament is an Extemporé version of Kubb, an ancient Viking game. Each school may send one team (consisting of four students) per membership and division. I’ll send out more information about this tournament and our unique rules in the posting coming your way on or before March 17th. Scholars’ Competition - Competition among schools in a scholar bowl format will be happening four times during the day. Each school may send one Extemporé participant representative per membership per meet. All questions will pertain to information gleaned from our unit, It’s About Time. Schools will accumulate points throughout the day and awards will be given to the schools with the most cumulative points in both Division 1 and Division 2/3. Sync Me a Song Competition - Every school may bring one lip sync performance (made up of Extemporé participants) per membership. The students may choose to wear costumes &/or bring props. All music used must have a relationship with our theme this year – It’s About Time. The performances will be judged and awards given to the top two performance groups. Spectators - are welcome in the Arena performances, Thinkers Hall, Scholar Competition, Sync Me a Song performances, the Minutemen Tournament and the Awards Ceremony. Only Extemporé participants will be allowed in the Preparation rooms and the AHA! Awards Ceremony – Student teams and individuals will receive certificates of participation, medals for top placing teams, wacky awards, outstanding awards and certificates of accomplishment. Each school’s coach will receive a personalized certificate.